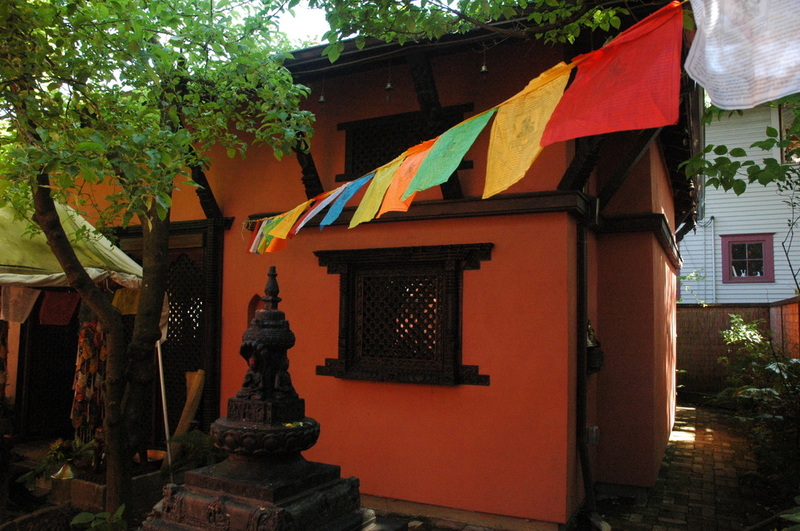 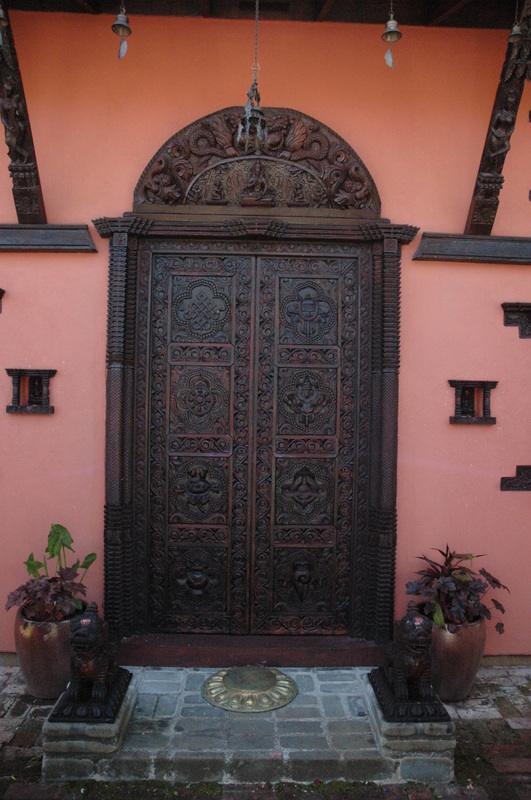 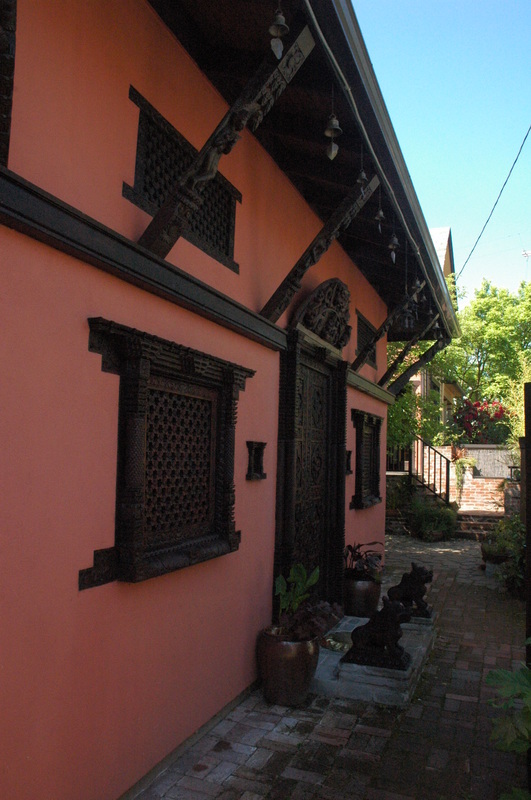 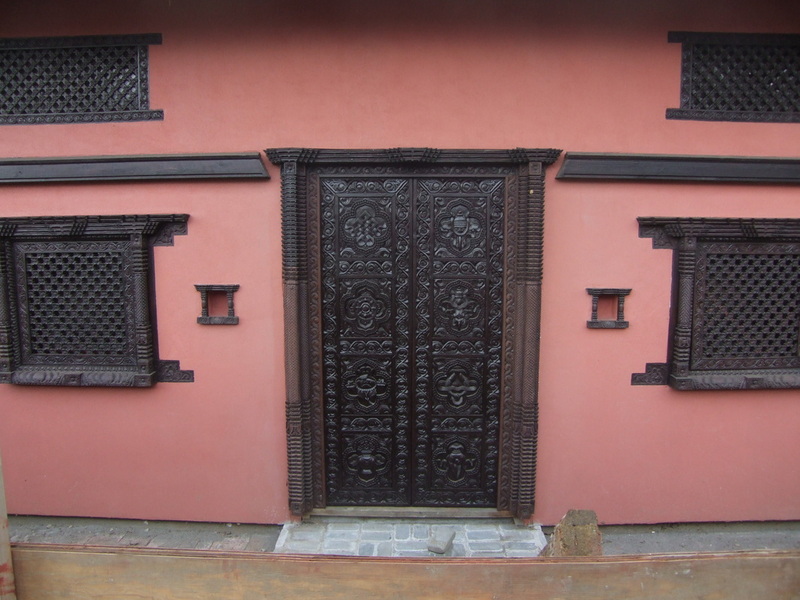 This Nepalese Buddhist Temple was inspired by the Newari style that is prevalent in the Katmandu region, and is the very first of its kind in the United States. 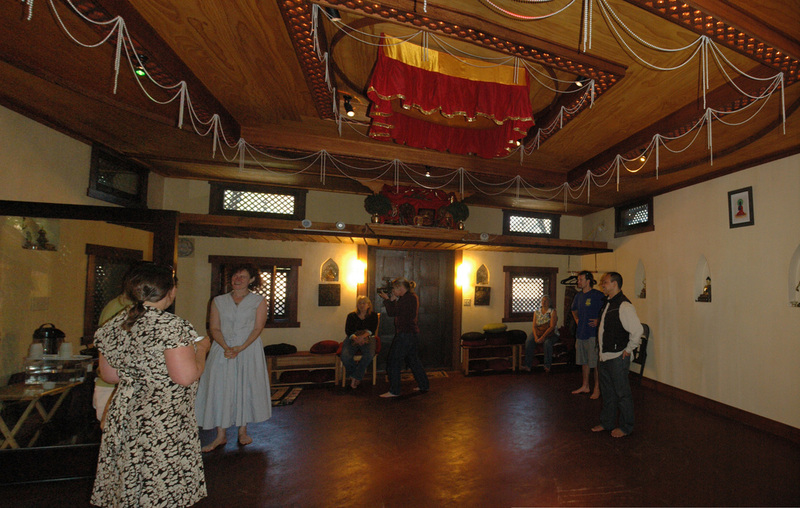 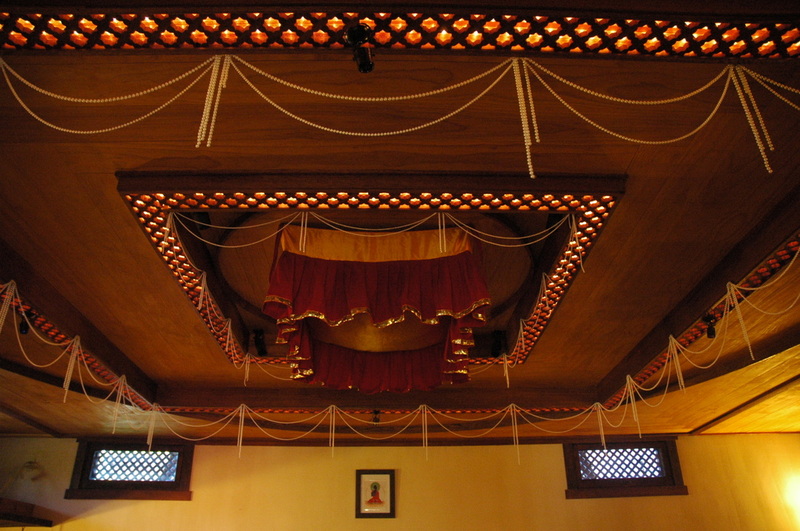 It was designed as a space for meditation, ritual, and study, as well as practicing the sacred art of dance. 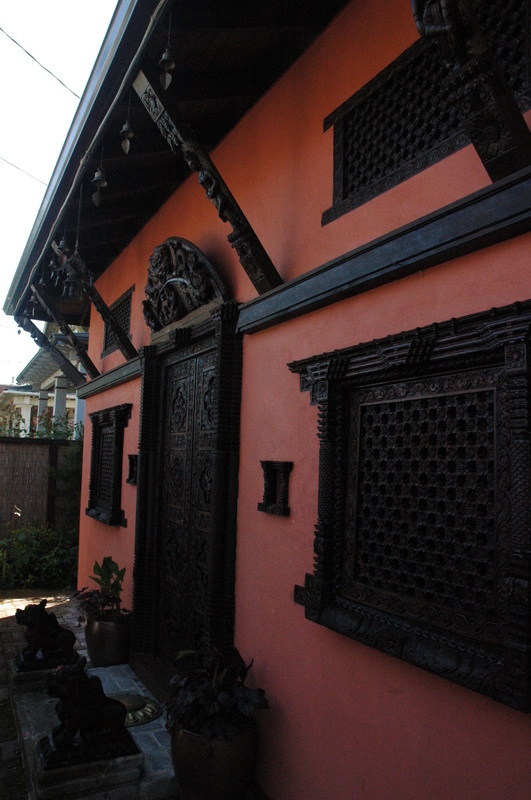 The window frames, door, knee braces, and lattice work were all imported from Nepal and worked into conventional framing and detailing. 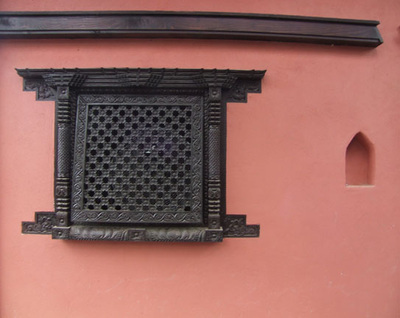 The exterior and interior wall surfaces are plaster with an earthen floor. 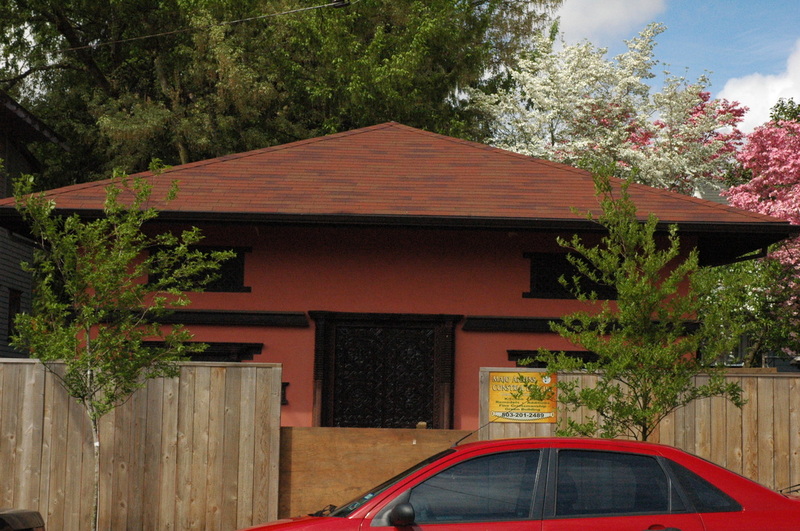 This 645 square foot accessory building maximizes the buildable area and maintains a comfortable meditation garden and ambulatory.